Everyone has a different way of experiencing and expressing love. The Five Love Languages: How to Express Heartfelt Commitment to Your Mate by Gary Chapman is a wonderful book that explains that there are five different ways in which people can experience and express love that Chapman refers to as “Love Languages”. People tend to naturally give love in the way they like to receive love and great intimacy and communication can be established between the couples if they have better understanding of each other’s love languages. One way to find out about our and our partner’s love language is through observation. You can observe if they like to give you verbal compliments and words of affirmation to express their love or they use physical touch such as hugs and kisses to express their love or they like to do things like household chores to help you to express their love. You can also use the wisdom of Astrology to gain an insight into your and your partner’s behavior and ways of expressing love. There are 12 zodiac signs and each of the twelve signs represents a stage in the cycle of solar energy. Our zodiac sign influences our behavior, our aims and the way we do things. There are some zodiacs that are more emotional and affectionate and demonstrate their love by physical touch and others that are more logical and practical and demonstrate their love by acts of service or words of affirmation. 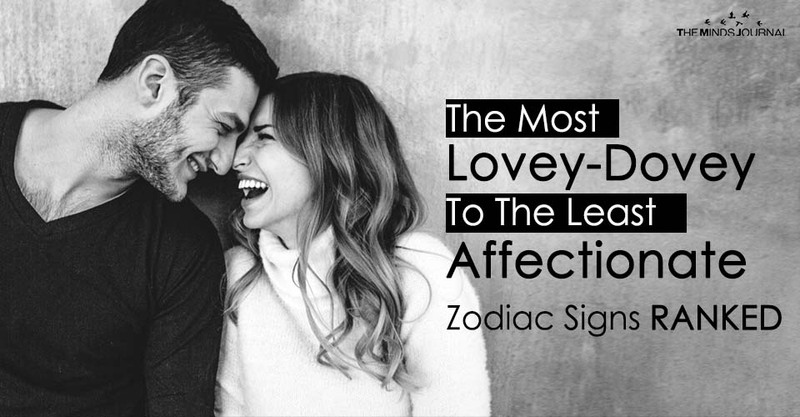 If you’re curious to find out which side of the scale you’re on, read the list below for the zodiac signs ranked from most affectionate to least interested in PDA. Cancer is a cardinal water sign and its ruling planet is moon. It is one of the most emotional and affectionate signs. A Cancer woman is intuitive and highly in touch with emotions – her own and those of others around her. She is the one would just intuitively know when you want words of affirmation or physical touch by observing subtle details like frown on your face or inflexion in the tone of your voice. Cancer is one of the most romantic signs of all the zodiacs. Not just that, she is super creative and thoughtful. She is the one who would surprise you with a love poem or surprise gifts when you least expect them. 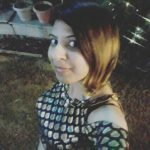 She would be totally into showing affection – be it through cuddling, hand holding, kissing, PDA – be rest assured that she will always show you that you are loved whenever she is around. Pisces is again a water sign. It is one of the most creative and dreamy of all zodiac signs. A Pisces woman is super affectionate and romantic. For her finding true love and intimacy are super important and she knows that to find a good lover, she has to be one. She is the one who would shower you with unconditional love and warmth and kindness and so much of love that you would not really know what to do with it. Just thank your stars, if you are with a Piscean Woman already! Libra is an Air sign. It is also a very lovey dovey sign giving close competition to Cancer in area of romance and affection. A Libra woman is super affectionate. She wouldn’t want to spend a single day without kissing, hand holding and romance. Even if she can’t spend time physically with you, she would be thoughtful to send you small texts to check on you and send you kiss emojis just to tell you that she misses you. Loving and showing affection comes naturally to her and if you’re with a Libra woman then get used to being pampered and cared for. She is a pro at it!